Today was a rare occurrence, we started off our day travelling westward after a radio call about some transient orca. 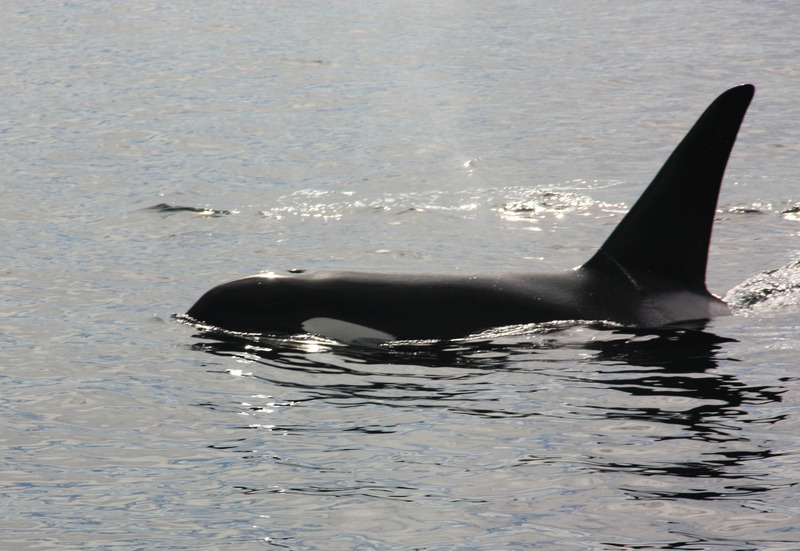 To our surprise it was not just ‘some’, we were able to see a super pod of transient orca! Normally this ecotype travels in small groups but today a few families met up to socialize. This morning we barely moved while watching the t65’s, t36/37 groups, t97s, t2Cs!! Us naturalists and drivers were shaking with excitement to be able to watch this. Our afternoon trip was similar to our morning, having all of our transient orca together, but instead of mingling they socialized as they travelled east. They were quite spread out but we were able to hang out with the t65a group mingling with the t19a group. The t19a’s spend most of their time in California and are well known whale killers! When they pass into our area the humpbacks are aware of their eating habits and they flail, making splashes and trumpeting as a way to say ‘get away’. It was so lovely to see the transients socializing and doing well together. During the evening tour we were granted some absolutely beautiful weather and an even better sunset. While on tour we were able to fit in the same orca that we had been with all day as well as Race Rocks with our seals and sea lions. While departing Race Rocks we had a different group of orca that we were unfamiliar with pop up, so we were able to finish the day with calm waters, a colorful sky, and orca!